LAS VEGAS — The Las Vegas Metropolitan Police Department released the final batch of its October 1 records pertaining to the criminal investigation of the worst mass shooting in modern American history and the largest homicide investigation in the history of the department. The Baltimore Post-Examiner has reported in several prior stories the discrepancies and false statements that were contained in both the LVMPD’s Preliminary Investigative Report that was released in January 2018 and its final report that was released in August 2018. The recently released documents on March 20 contain more discrepancies and raise more questions. 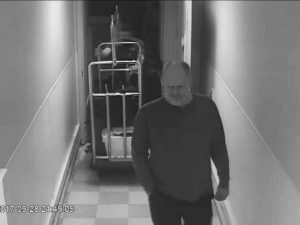 According to the timeline in the LVMPD final report on September 30, 2017 Stephen Paddock at 3:20 p.m. was seen in a guest elevator with two rolling suitcases and took them to his room. At 7:52 p.m., Paddock drove from the Mandalay Bay Hotel to Mesquite, Nevada and arrived there at 8:57 p.m. The report’s timeline for Paddock’s movements on October 1, 2017, states that from 2:23 p.m. to 7:40 p.m., the doors for Rooms 32-134 and 32-135 were manipulated multiple times. For example, the doors were opened, closed, and the deadbolt locks were engaged and disengaged several times. In neither of the September 30 or October 1 timelines does the LVMPD report indicate that Paddock was seen at the Luxor Hotel, which is adjacent to the Mandalay Bay Hotel, at 4:00 p.m. on both days. According to a report filed by LVMPD Detectives A. McClelland and D. Emerton, on October 5, 2017, they made contact with Johana Magsanoc at her residence and conducted a recorded interview with her. Magsanoc stated that she had contact with Stephen Paddock on the evening of September 30, 2017, and October 1, 2017. Magsanoc is employed as a store clerk at the “Essentials Store” at the Luxor Hotel. Magsanoc told the detectives that on Saturday around 4 p.m. Paddock entered the store and inquired about how long the store would be opened and she advised him that the store stays open 24 hours. 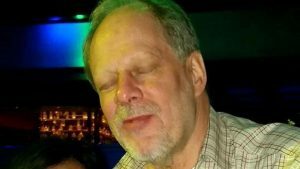 Later that evening on Saturday, Paddock went back to the store and purchased two eyeglass repair kits and attempted to charge it to his room and was unsuccessful and then used his credit card as well as a player’s card to receive a discount on his purchases. Magsanoc also recalled that the player’s card had the name “Marilou Danley” on it. She said that she noticed that Paddock’s Nevada identification card had a Mesquite address on it and she asked him if he was on a “Staycation,” and he replied “yes” for about two days. On October 1, 2017, Paddock entered the store at 4 p.m. and asked her specifically if they sold charging cables and she advised him that they did have charging cables in the store and showed him where they were located. Magsanoc said that Paddock continued to converse with her specifically but did not purchase anything at that time. He began to ask her about the “Route 91” event and was specific in asking if there were lots of people that attended the event and she replied yes and then he started to ask her questions about “Life Is Beautiful,” just referencing if that event had taken place about a couple of weeks ago and she replied yes. Paddock continued to converse with her, now asking personal questions referencing her nationality, specifically if she was Filipino and if she was married. She asked him if he had a girlfriend or married and he said: “no, he was not.” Paddock advised her that he would probably be back later for the charger/s if he needed them and then left the store. Several hours later that is when the incident occurred and the following day, October 2, Magsanoc recognized Paddock’s photo from the news to be the same person that entered the store on both Saturday and Sunday and also recognized the name from the identification he presented along with his credit card and the room number from the player’s card used for the discount. There is no mention in the detectives report that the police confirmed what Magsanoc had told them. Surveillance video from the Luxor Hotel as well as Paddock’s credit card transaction would corroborate her account. Again, there is no mention in the timeline of Paddock’s movements in the LVMPD final report that mentions Paddock being at the Luxor Hotel on either of those days. Magsanoc said Paddock purchased two eyeglass repair kits on September 30, 2017. Were there eyeglasses found on top of Paddock’s head after the shooting? When police leaked the crime scene photographs of Paddock and his Mandalay Bay Hotel suite it compromised the criminal investigation. In those photographs, no eyeglasses were visible on top of Paddock’s head or in the immediate area of his body in those photographs. Stephen Paddock caught on video in the Mandalay Bay hotel hall. He was not wearing glasses. None of the coroner’s reports released mention eyeglasses on top of Paddock’s head. The first LVMPD crime scene analyst to arrive at Room 32-135 of the Mandalay Bay Hotel about one hour after Paddock’s body was discovered by the entry team, makes no mention of eyeglasses being on top of Paddock’s head in her report, however about 18 hours later, another LVMPD crime scene analyst states there were eyeglasses on top of Paddock’s head. The decedent, a male adult, was on the floor south of the chair and side table. He was wearing black pants, a long sleeve brown shirt, black gloves, and grey shoes. He was on his back with his head to the south, feet to the north, and arms at his sides. There was apparent blood surrounding his nose and mouth, and on the floor under his head. There was also apparent blood on the front of his shirt. A rifle was on the floor under his legs. A grey box cutter was on the floor between his feet. There were cartridge cases on the floor surrounding him. A silver-colored/black “Smith @ Wesson” revolver with apparent blood on it was on the floor south of the decedent’s head. No mention in Alexander’s report of eyeglasses being on top of Paddock’s head. Unintentional or Intentional discharge of SWAT officer’s firearm? As the breach occurred and the team began to move, SWAT Officer O’Donnell felt he should change the rate of fire on his rifle to “select fire” which puts the gun into a three-round burst mode. As he made the switch, which takes hand manipulation, SWAT Officer O’Donnell’s hand slipped which caused the weapon to fire a three-round burst into the wall. SWAT Officer Levi Hancock stated during his recorded interview with detectives that: Apparently, Sean from what I gathered had put his gun on select fire and then had the accidental discharge. I asked him if he had seen anything, obviously, that caught me off guard. He said, “I thought I saw something,” and there was – as I peeked the corner, we just had a lot of smoke from the explosive breach. According to the postmortem examination report an autopsy examination was performed on Stephen Paddock by the Clark County Office of the Coroner/Medical Examiner (CCOME), on October 6, 2017, starting at 4:22 p.m. The body was received within a sealed body bag with seal #541486. That number was consistent with the coroner’s investigator’s report as the seal number that was placed on the body bag inside Room 32-135 on October 2, 2017, prior to removing the body. There is no mention of what caliber and/or if it was a pistol or rifle casing that was found next to Paddock’s head during the examination. The report also does not indicate what seal number was placed on the body bag after the autopsy was concluded, however according to LVMPD Crime Scene Analyst J. Smith’s report, Smith, at approximately 12:52 p.m. on October 14, 2017, Smith responded to the CCOCME. Smith’s report does not indicate why the seal was broken on the body bag eight days after the autopsy was conducted and a new seal number was placed on the bag. So, why were there eyeglasses on top of Paddock’s head when they weren’t there earlier? And what type of eyeglasses were they, corrective lenses or just ordinary shooting glasses and where did they come from and who put them on top of Paddock’s head? There are also numerous LVMPD Crime Scene Investigation Reports that indicate that bullets and bullet fragments were recovered by crime scene analysts that were removed from victims and the areas in and around the Route 91 Harvest music festival. To date, the FBI has not released any of its forensic analysis reports to the public. Mike, that’s exciting news! Can’t wait! Doug I was thinking the same thing about the entire crime scene. It’s a shame that they didn’t just secure the scene and leave it alone. Does any statement or report contain a single reference to off-duty officer Charleston Hartfield and what he did (or wasn’t able to do) before he was struck down? Not a single witness? Did Sheriff Lombardo lie and just create a narrative to get public sympathy and support for the LVMPD after tge horrible personaland family tragedy befell Hartfield? I was able to confirm with Eric Paddock that Steve did not wear contacts or have prescription glasses. He did wear reading glasses when needed. We have a FOIA request approved which should yield about 14,000 pages. It is 28cds and will be a while before processed. Will let you know when recieved. The crime scene was compromised the minute they rolled over Paddock’s body. Thanks for the input. Way too many unanswered questions.